By taking the entire world under its humongous canopy, the buzz word today has everything that has got to do with Big Data and Hadoop and the immense opportunities that they together along with their other allied subjects have to offer. To make the understanding process simpler, we at BIG CLASSES would always guide, support as well as mentor you every way so that YOU get to reach your chosen destination by carving out niche careers out of Hadoop and Big Data. In a recent survey that was conducted by a renowned global consulting powerhouse, it was revealed that the exchange of cross border data has since been adding on more to the global exchequer than the international trade per se. So to be circumspect, data and everything to do with it has now become the global focal point. But then the question to be asked is WHERE does all of this data originate from? The answer is as simple as it is difficult for it emanates out of our affinity for watching the Internet videos on the You Tube or on the Facebook or on the seemingly endless hours that we spend interacting on the social networking sites, every one of our E Commerce shopping data, our financial credit card information, all of the website content, blogs, infographics, statistics and much more…. As if this were not enough, we now have an even more niche, state of the art contributor to this exotic league wherein, we have the Internet connected to multiple machines in a magnificent scheme of things called the Internet of Things which is now the new way forward for the future; for not too much into the future would we have the IoT perhaps being the primary or, should we say, the sole provider of data exchange that would happen from one end of the globe to the other , that would occur within the speed of light over our Internet networks. Now THIS is what Big Data is and soon will be, in a capsule! Now, after having an idea of the enormity of the sheer scope of Big Data, the question would arise about what is Hadoop and why would we have to learn Hadoop. Put simply, Hadoop is a software framework that assists in processing voluminous chunks of data, that gets too overwhelming for the regular data processing tools or software to process them. with Scalability being its major advantage, Hadoop can be replicated from a single machine to several thousands of others, whenever the need does arise, as it is not only agile and resilient but also easily adaptable, which makes it one of the most sought after Big Data processing framework now available. An incredibly creative bent of mind coupled with an inquisitive mind and a mental framework that is perpetually thinking out of the box are perhaps the primary requisites that you need to possess as the technical knowledge and the programming skills could be mastered with an intensive training and with a proper frame of mind. So, if YOU desire a career out of Hadoop, then it would be best for you to begin by learning ANY programming language be it Java, Python, Ruby or for that matter even C. Once you learn the nuances of the programming languages and how best to write an effective algorithm, then you are good enough to learn the nitty gritty of Hadoop as well. Let us emphasize that the career options for you are ONLY going to soar in the not too distant future as the amount of data to be processed is only going to multiply and the field of Big Data has not yet be fully explored. With the right skill sets and proper domain level training in Hadoop, you can expect a steep rise in your professional opportunities. 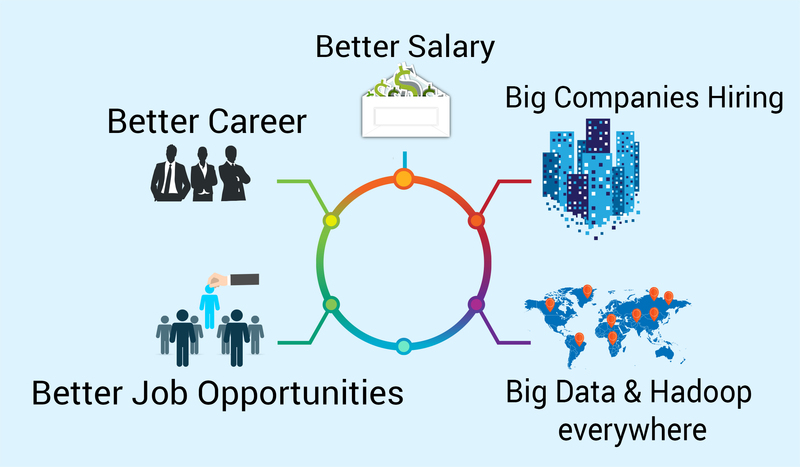 In India, with only a few countable years of experience to reckon with, Big Data professionals are now earning close to 10 lakh rupees per annum and with opportunities galore YOU could get to choose to make careers out of any of the mentioned areas including, Hadoop Architect, Hadoop Developer, Data Scientist Data Visualizer, Research Analyst, Data Engineer, Code Tester and Data Analyst. Today, it has become rather essential for companies to work with huge chunks of data which makes companies competing with each other to spread the proverbial red carpet by giving lucrative offers to qualified Big Data and Hadoop professionals. Every industry worth its salt is now vying to hire the best of the talented professionals, be it Banking, Marketing, E-commerce, Social Media, Advertising, Healthcare, Wellness, Insurance and several more…. For the sake of statistics, the need of Big Data professionals would be close to 1.5 million in the US by the beginning of 2018 alone. So, it is ONLY left up to your fertile imagination about the scope of opportunities that lie ahead for us in India. In these days of globalization, the effective management, knowledge, organizing and information of data has gained enormous importance. In the larger scheme of things, companies like Amazon, Google, Apple, E Bay primarily and solely rest on the organizing as well as making sense out of of Big Data in a manner as to gain a veritable advantage over their rivals. Let us comprehend the simple fact that MORE is definitively not meaning extra, but connotes all that is new, better and perhaps drastically different. In other words, Big Data professionals, help in understanding their customers better, demarcate demographics, anticipate sales, help in better pitching the sales to the customers in a very user friendly manner, understand growth opportunities, as well as look for avenues to garner newer markets and service customers better in an environment that is perpetually challenging, innovative not to mention creative that ONLY Big Data professionals could perhaps understand and appreciate. It would be easier to summarize and say that with only 0.5% of the data available and utilized, there exists an entire spectrum of immense information as well as opportunities left to explore. 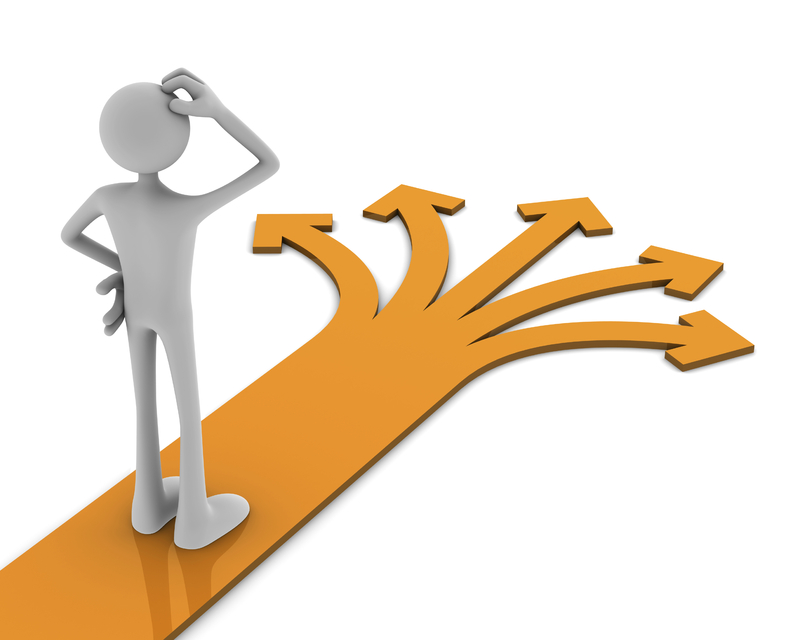 With the global economy taking the upward graph, there are only plethora of options for YOU to choose out of. With BIG CLASSES training YOU to be a qualified Big Data and Hadoop professional, you have an ocean of opportunities that beckon you.